sonamedspa: Ever thought of getting a "new face" for the new year? 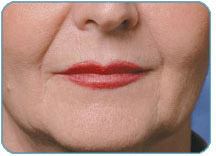 Let’s start the new year with some long lasting wrinkle reduction. Restylane enhances your natural looks by restoring your skin’s volume, creating softness and revitalizing your appearance. Restylane replaces lost volume and restores youthful contours to the skin to smooth away moderate to severe facial wrinkles and folds, such as the lines from your nose to the corners of your mouth (nasolabial folds). Since 1996, dermatologists and plastic surgeons outside the U.S. have used Restylane to contour and restore volume to skin and temporarily eliminate wrinkles and facial folds. Restylane was the first hyaluronic acid based dermal filler to be approved by the FDA in 2003, and it is the world's most used, most studied dermal filler. It has been used in over 70 countries and in more than 1.4 million treatments in the U.S.
Hyaluronic acid is a naturally occurring substance that is already present in your body and is important for imparting firmness to skin. As a facial filler, hyaluronic acid works to improve appearance by attracting and binding water molecules and thereby increasing volume. This additional volume smooths out folds, wrinkles and lines for a more youthful look. Restylane’s safety and efficacy is proven beyond a doubt, with robust clinical data spanning a decade. Restylane does not contain animal proteins. This limits any risk of animal-based disease transmission or allergic reactions. Restylane does not require an allergy test and can be administered immediately, so there is no waiting for treatments. 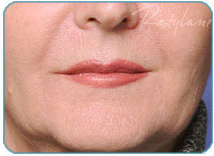 Restylane treatment is long-lasting but not permanent. The length of time a treatment maintains its effect is very individual and depends on many factors, such as your age, skin type, life-style and muscle activity, as well as the injection technique. Experience shows that Restylane can be effective for at least six months or more after the treatment of lines and folds. Restylane is injected directly into the skin in small amounts by an ultrafine needle. As with all injections, some clients may experience discomfort. To increase your comfort, your nurse will assess your need for pain management and determine what technique is right for you. Normally a topical pain medication is administered 30 minutes prior to your injection. How long is the recovery after Restylane? Restylane treatment usually fits in well with busy lifestyles, with minimal downtime, and gives results that can be seen instantly. The procedure is quick; it usually takes less than 30 minutes and the benefits can be seen immediately. Almost anyone who would like to reduce the prominence of their facial lines and wrinkles can be a candidate for Restylane treatments. What should I know before a Restylane treatment? Prior to treatment, avoid using aspirin, non-steroidal anti-inflammatory medications, St. John's wort, or high doses of Vitamin E supplements as these can lead to additional bruising. If you’re considering Restylane to give your face a younger, fresher look and feeling, or if you would like to find out more about the benefits of treatment with dermal fillers, schedule a consultation with a Sona consultant to discuss your options.